When renting a property, a landlord will in most cases ask for a deposit. The law after 6 April 2007 requires that a landlord deposits into a Tenancy Deposit Scheme to stop landlords from pocketing a tenant’s money. These are the new rules for Assured Short hold Tenancies, which protect both the landlord and tenant in the case of a dispute and provides an Alternative Dispute Resolution Service (ADR) to resolve such dispute. If you have a dispute, start by contacting your landlord to inform them of your complaints and then following it up in writing, giving them 14 days to respond. It is important to note that many landlords take photographs of their property or keep notes of inspections before you move in, which you should ask to see in the event of a dispute. That way you can analyse the state of the property ‘before’ and ‘after’. Also keep a log of events and conversations between you and your landlord in case the dispute reaches court. You should hopefully be able to negotiate with your landlord at this stage. If however the dispute remains unresolved, you should contact the scheme with which your deposit is held, detailing your complaints and sending them any evidence or correspondence between the landlord and yourself. At this point, the scheme’s Alternative Dispute Resolution Service will aid in negotiations and arrange a date or dates for doing so. If negotiations fail, you may wish to take action in the Small Claims Court. Just moved out of a property and the agent used an independent checkout service to inspect the property. Their report, which includes photographic evidence, came back with no issues whatsoever (they actually commented that it is the cleanest a property has ever been for one of their checkouts, and the property was left in excellent condition), and the agent is happy to return our full deposit. However, the landlords have emailed the agent with a list of untrue and unfair complaints about damage/cleanliness of the property, and are apparently trying to stop us from having our deposit back. The agent even said they are very angry at the landlords over this. Can the agent and the checkout company override the landlords so that we can have our deposit returned, or are we looking at a drawn-out process trying to reach a resolution with the landlords? We weren't expecting this at all, and thought we had a good relationship with our landlords as well as our agent, but it seems that the landlords have decided to be unreasonable out of the blue. Pretty worried, confused, and a little angry about it all. My landlord refuse to answers my call fpr talk to me. My ex husband still living in there and he say he just will give my half of the deposit fir the flat when he live the house. For months I'm trying to get my money back. It's reallt unfair. I was renting a two bedroom from 2014 until last year 2017 end of August. Paid full rent of R4850. When I moved out my landlord promised me that I will get my deposit when he get a tanant.two months after she got another tenant. Still refuse to pay back my deposit. If I new that she will do this to me I should have not paid rent up until end of August. till today I haven't got my money back. How can I get help. If the information in the article hasn't answered your question, please see more via the link here. @Saaa - the TDS won't let the landlord take advantage. Hi My landlord has taken all my deposit and now is asking for more money after I raised a dispute to TDS who I. Turn with in the favour of the landlord! This landlord keeps sending me invoices of the damagesI have done to the flat which was originally done by her! She put foam to close the holes in the wall and put foil over the fan in the bathroom causing Damp in the bathroom now she is claiming that I have done that! I have some evidence which was submitted to TDS and wasn’t considered! Such ashame I reckon she is doing that because she is aware I don’t know the system here! I rented a room with a month to month rental of rent for 850 with 850 security deposit . I moved in March 1st and due to money complications i notice my landlord on the 23 of march i wouldnt be able to no longer live there he said its fine and now that its the 1st of april hes telling me if he doesnt find anyone by the 5th of april he wont give me my security deposit back .April 5th passed i called him he said he found someone( note he said he didnt have my deposit to refund me because of his self renovation to his home was in progress , which im taking he used my money for) Now i keep calling him , he wont answer some of my calls he tells me if i wanna sue him to do so but im trying my best to hande it out of court .Is he allowed to keep my money when we agreed on it being month to month and when he found someone else? I have calls and textsrecored of our convos for help. We moved out of the property on the agreed date. The landlord raised a few issues which we sorted out. Now he is delaying returning us the deposit and not answering his phone. It has been more than 2 weeks. What course of action is available? You can see more via the link here, which will tell you all you need to know. I have disputed my deposit with the DPS as I do not agree with the £460.00 the letting agent have proposed.My daughter had managed to burn the carpet with a hairdryer - I informed the agents and was aware that I would be charged. They have asked me to rightly pay the £225 for compensation but was under the impression they were not going to change the carpet. As they had charged me money to have the carpets cleaned including the damaged carpet. They have then tried to charge me £165.00 on top of the £225 carpet and £70.00 carpet cleaning for extra cleaning of the property. There was a finger print on the light switch which I missed and some dust ( Areas I physically couldn't reach due to being pregnant) so fully except a small charge. Even though the house was bleached and repainted. The gentleman who they send round to complete the check out is also the chap who gets the cleaning jobs. I have complained stating this could be seen as a conflict of interest for his and their financial gain.They have not responded to my email and funnily when I call there is no one to speak to me. Can anyone advise please? Where there is a disagreement, the matter will go directly to the DPS dispute resolution service for arbitration. You can see more via the gov.uk link here. As we are a UK-based site, we can only answer UK-based complain questions. The laws will be different in South Africa, therefore you would have to get help in your own country. Hi, i leaving in a house and my landlord he gave us a notice to move with 3 weeks. And i told him i will not moving until will no give me my deposit back. All good, he come the day when i need to move and i call the agency to come to check the rooms and all thinghs from the house. One of employ from agency he come to check and should give me my deposit. All good ,he give me a ceck with my deposit and i was gone. Next day i was in bank to take the money and they take it the check. But in the next day i look in my online banking and i se the check he was unpaid. And now i don’t find this agency. They have move from the addres with office. They no answer on my text and on my call. What should do now? Hi, I moved out of the property after 8 months, gave nearly 2 month notice to the landlord. Paid rent promptly and had given 2 month deposit.I lived with my 4 children. Inspite of several email the landlord nearly after 21 days replied stating he is deducting the deposit amount £1400 towards painting, carpet cleaning, oven cleaning, garden cleaning and happy to pay £200.00 only. I don't know what to do. Please advice. We cleaned the house before handing over. The carpets are not new, the wall has marks here and there but not very bad. Pls advice. I was renting a room and I left when my tenancy finished. Before I left I asked him about my deposit and he said it will be returned to me in 2weeks and 3weeks later I have reminded him and he kept sayin next day. Now he ignores my text and declines my calls so I guess he’s blocked my number what do I do? I had rented a room of a landlord for two years, i actually lived on the property with the landlord so this is where it gets confusing.I left in July of this year and she said she would get me my deposit back to me, over the past couple of months she has been saying she's busy and will get it done.Now she is not answering my calls or returning my texts messages.Am i right in thinking that because i lived in the property she does not have to protect my deposit in a tenancy agreement scheme.So its very hard for me to get this money back.Any advice would be appreciated as i feel completely done over by her.Has anyone heard of the before or know anyway in which i can get my money back. Hi, my lease expired and I gave the landlord a letter stating I won't be renewing. Her husband painted when we moved in and not even two coates. It was not even done professionally. The windows was cracked and we could not open some window or close them because they were damaged. We washed the walls and the cupboards had slight stain marks when I moved in because of her previous tenants. She is refusing to return my deposit saying she is getting painters to re paint and getting people to clean the cupboard. She also had roach bait in the cupboard and we sprayed everyday. Now she wants to fumigate. She asked me for keys to put up curtains because someone tried to break in which was lies because I went back on Sunday and there was nothing. So I am battling to get my money back, it is not even in a truct. I had to pay it into her husbands account. Your tenancy deposit protection (TDP) scheme offers a free dispute resolution service if you disagree with your landlord about how much deposit should be returned. You can see more on how to complain via the gov.uk link here. I recently vacated a property after 4 years and am struggling to get my deposit back from a well know lettings agent they keep avoiding my calls and I'm getting really frustrated.My deposit wasn't protected either,any advice on what I can do? Contact a tenancy deposit scheme (TDP) if you’re not sure whether your deposit has been protected . As it is the law that your landlord must protect your deposit and if your landlord hasn't then you can take the matter to court. If the court finds that your landlord has avoided this, it can order the landlord to repay your both your deposit and extra costs to you. Please see gov.uk link here for TDP contact details and further advice. First of all, did you have a schedule of condition? Did the estate agent go through this with you at the time? Was the estate agent authorised to sign it off on behalf of the landlord?Did you agree with it? Also, where is your deposit held? 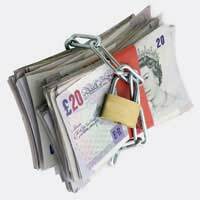 It should be in a holding account and if you think you have been unfairly treated, you can raise a dispute the Deposit Protection Scheme. You might also wish to read the terms and conditions of this tenancy agreement, which may tell you the process of handover and how the landlord wanted the property handing back. This should answer your questions further. Hello, this is Angel from Lagos state, Nigeria. After paying a full year rent, the landlady would neither give me peace nor stop trespassing into my rented territory. She always threatened me with refunding my rent and I finally gave it a thought. Now, she refuses to refund my rent when I met with her about it. How do I place this witch where she belong?. I need her to refund the money sooner than later. Because it seems to me like she doesn't even have the funds and really wants to make a fuss out of the issue. How do I get her to refund my rent?, I don't want to stay there anymore. Thanks a million bunch!.